Teaching Photography To Change The Way We See. JHP offers free photography programs to our students around New York City and State. We teach self-expression. We inspire creativity. We engage community. JHP partners with local galleries, libraries, community centers and cafes to host photography receptions and exhibits of our students' works. Students exhibit their work to the public after their classes are complete. JHP creates photography books using the best work of each student in the class. Each student receives their own copy to keep after the program is completed, as do our partners. JHP Teaching Artists are professional photographers who understand the transformative power of photography, and wish to share that with their students. They are experts in their field, and lead students to create projects. Each student receives a professional-grade camera for the duration of the program, to learn on, explore, and expand their vision. Teaching Artists bring students around the city on field trips and photo walks, to expose them to cultural institutions and relevant exhibitions, and to document their communites. 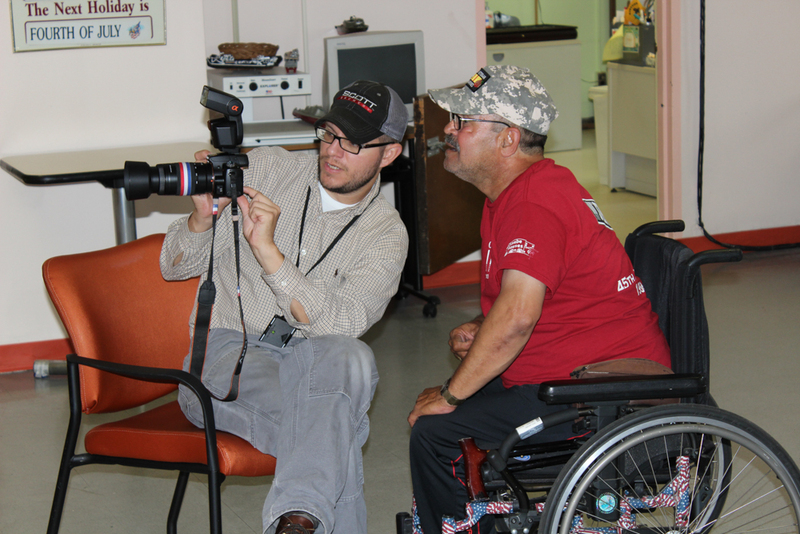 JHP is committed to reaching as many people as possible through photography. We reach populations that are considered outside the mainstream, vulnerable or at-risk, including but not limited to Veterans with PTSD, isolated senior citizens, recent immigrants and English language learners, students with cognitive and physical disabilities, and students considered at-risk. All of our students report profound changes in their confidence, sense of self, community engagement, and voice.